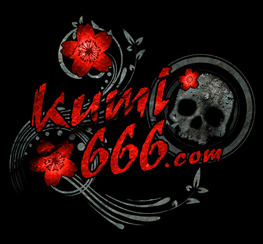 Probably it sounds weird that I am totally Japanese but haven't taken care of Japanese metal scene even a bit. So, it's hard to name good metal bands in Japan but one thing I can assure you that SERENITY IN MURDER is a pretty good melodeath force in our country. 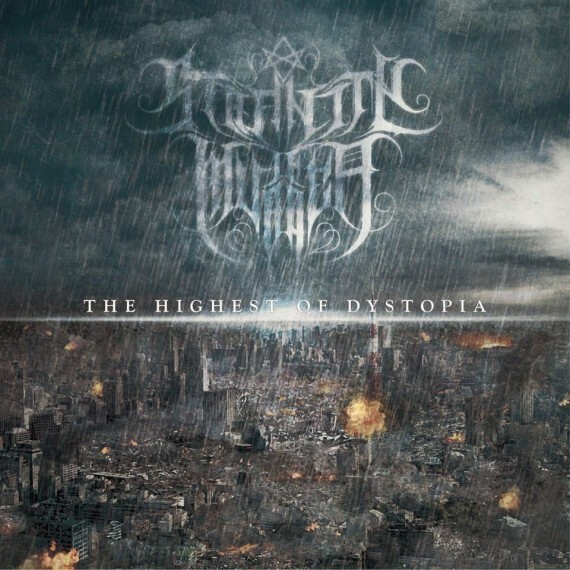 They released the second full-length "The Highest of Dystopia" on this March and I was blown away from the first entire-listening. 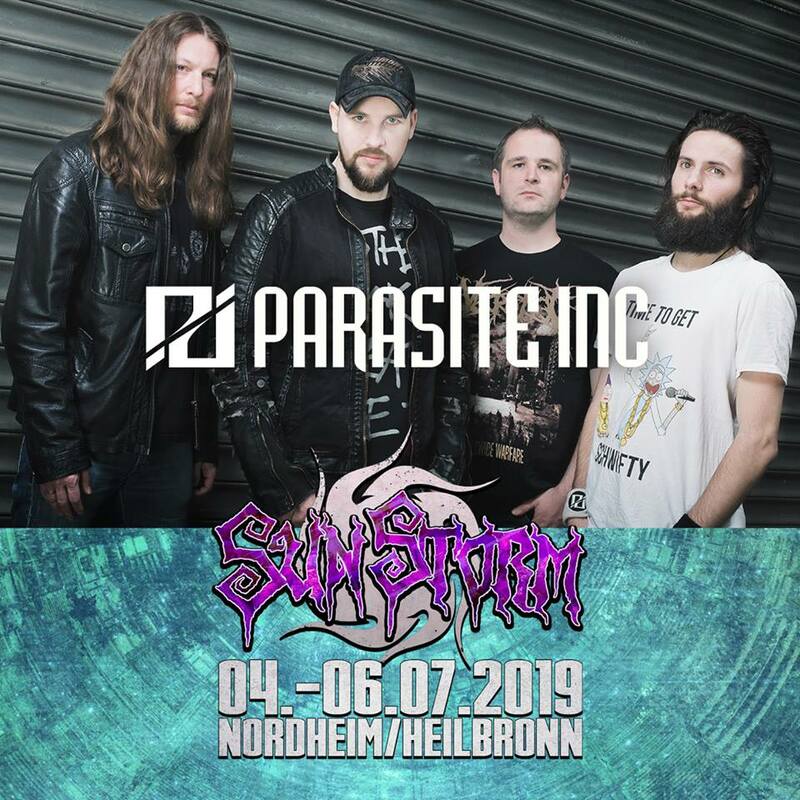 Fortunately, I had a nice opportunity to have an interview with the band right before their headlining domestic tour and asked a lot about the brilliant new album to Freddy(the guitarist, main song writer and leader of the band) and Emi(the growl singer) mainly. Three years and a half passed by since your debut album "The First Frisson of The World" made the first attack towards the world, and finally the brilliant new full-length "The Highest of Dystopia" has been released. Congrats! How are you feeling now? Why did it take such a long time? Freddy : Thank you. We're satisfied with our album. As a melodic death metal band, we always aim to compose high quality of songs. Now we're getting closer to it. It took three years of times, but it's because we never comprised each songs. More than anything, we wanted to make songs that we can proud of. However, I guess every single fan of yours must be feeling it's absolutely worth waiting because it's obvious that the Serenity In Murder universe stepped into the whole new level with full of killer tunes. Did you spend much time for the song writing process? Freddy : Yeah, I had so long times to write songs. I think I had been concentrating on the whole 2014. It's like, gathering ideas 2 years, arranging them in 1 year. Emi’s vocals are enough strong and charismatic in the album. That’s awesome! What is your most important point in the album as the growl singer? Emi : Thanks, I’m so happy to hear good reaction like this. The point in this album is that I don’t only scream and growl, but also“sing”. Some female singers put moduration and variation with using both of their clean voices and growls but I thought I could do with only growls. I belong to a death metal band and my aim isn’t being cute and beautiful. If you do cool things you want to do, you look beautiful, fascinating and cool woman. The positive point ‘Serenity In Murder has a female singer makes people find our band and it’s definitely one of the cue for knowing us. But I always try to be strong and play metal. So, in this album, I used both low and high growls more clearly than the last one. I sang all of growls on our own. It was a kind of fun that I listened to mixed growls after comparing with each different one. The lyrical and elegant guitar part is one the highlights of the album and I’m into it. Could you explain the difference between your play style and Ryuji’s? Freddy : The difference between me and Ryuji is like "thinking" or "feeling". Me, as a composer, I know all the details of songs. So I make the guitar solos along with each theme of songs. On the other hand, Ryuji plays as he feels. I think he's so talented. I respect him for that. 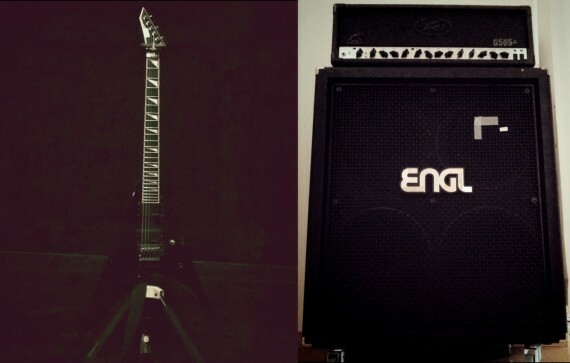 So, I would like you to show your current gears (guitars/amplifiers/ effectors) for fans and guitar players? Freddy : My guitar is ESP Arrow and I use SIT Strings 10 to 52. Amplifier is Peavey 6505＋and ENGL XXL cabinet. Wide range and toughness sound. 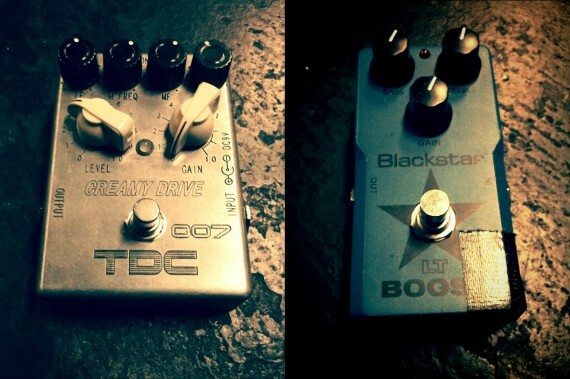 I usually keep TDC 007 active, and use Blackstar LT-BOOST for guitar solo part. TDC 007 makes my sound fat, like full tube sound. It's awesome pedal hand made by Japanese. Blackstar LT-BOOST is so effective for solo parts. I can make tone easily. I think it's good for twin guitar bands. Me and Ryuji use this one for guitar solo. 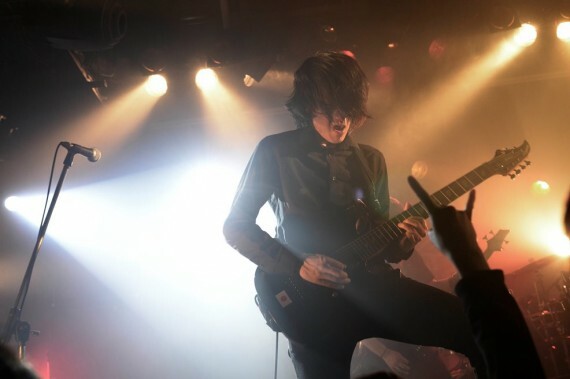 Ryuji : My guitar is Caparison Dellinger 7strings, made in 2006. I took off coil tap switch and tone. Current pick up is DiMarzio and Dancan due to original pick up is broken. I'll change pickups for Caparison original soon. This is the best guitar for me! 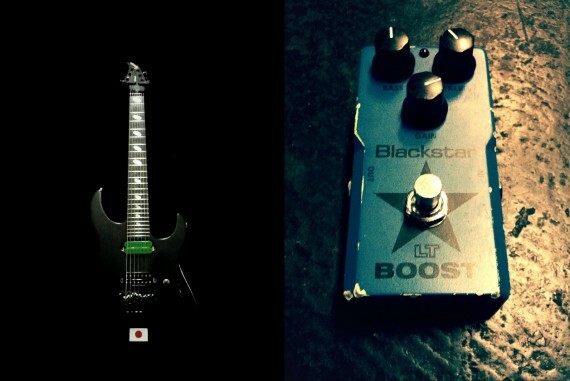 And use Blackstar LT-BOOST for solo part. This is same Freddy's one. Awesome pedal for solo boost. Since Serenity In Murder is Symphonic Death Metal band, orchestration should be one of keys of its music and I think you've done a pretty great job with it! Freddy, you are the one who managed them all, right? Could you tell us the process of the difficult task in the album? Freddy : Yes, I did all parts of them. It was not that difficult. When I think of the idea for the songs, the melody comes out naturally. In my head, everything like drums, keyboards, and orchestration, occur at the same time. So all I have to do is just choose the tone. I am not sure if the following question would be annoying or not, but I'm simply curious about the ending of "Hurt of Virtue". Why did you let it fade away so quickly that way? Freddy : It's ok, many people ask me same question. I simply thought that's the best way. Emi, you have a clear attitude and opinion for animal protection, don't you? Did the lyrics of the album reflect your thoughts about it in an indirect way? 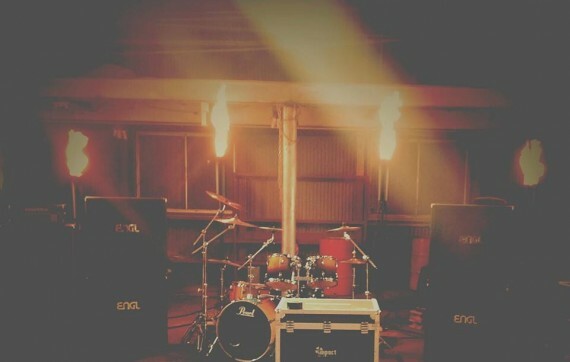 Emi : The main concept of lyrics in our new album is seeing everything through different views. As you say, I have a clear attitude and opinion for animal protection but if I didn’t check out what we did for animals and try changing my lifestyle, now I wouldn’t have any opinions about these many things and other topics. People tends to hide bad things in public and it’s not wrong. It sometimes makes people sad or disgusting. We believe it’s natural way that we should do good things and we’re forced to do. As we grow up, we‘re stopping thinking why we do what we do now. We get used to do what we do in our lives. I wanna let people know that goodness can survive by being vice. If we don’t experience and know vicious things, we never know goodness and it would not exist. I won’t make people bring to bad ways or be forced to protect animals. I hope everyone is curious of knowing where many things come from,search them and have opinions in different views. If I pick up some tunes outstanding this thought, ”Noticed This Is The Betrayal” and “Martyr For An Age”. In “Noticed This Is The Betrayal”,a man is killed by the other man but killed man believed only goodness and thought he was never wrong. He notices this is the betrayal after death. On the other side, murderer did vicious ways and he believed vice rules everything but in “Martyr For An Age”, he was betrayed by someone teaching vicious rules and shut up into the darkness and he’s waiting for another sacrifice for ages. Vice betrays another vice. Everything has some ways of views. The important thing is that we open our eyes and know what we do in the world. And the law is the same. It’s not enough to surrender to rules and laws. Considering what they bring for us and if we’re frustrated by them or not is the point. I wrote about this in “Hurt Of Virtue”. So, Freddy, could you give us track-by-track hints and points to get into the album? I thought of myself being Japanese, while writing this song. And I realize it's nice to add Japanese aspect in our songs. I used Koto, Japanese traditional instrument, for main phrase. Maybe you will enjoy much more of Japanese aspect in our next album. This will be the initial song for live show. I wanted to write powerful song with blast beats and aggression. I wrote this in 2012. It's typical melodic death metal song. But I tried not to make it boring song. Also, you can feel Japanese aspect. Ryuji came up with epic intro part, and I wrote the rest of this song. I can say this is new style of Serenity In Murder. This is the most challenging song in this album. I wanted to write an impressive ballad song. We do recommend this song not only to the metal fans, but to every single music freaks. This song was originally for orchestra, and was so long. I cut out many parts and make it compact to 2:50. It's quite short song, but it's artistically great. This one is my favorite. Could you tell us about your new bassist Olly? How did he join the band? Freddy : The first time we met him actually was 3 years ago in Tokyo. We had very similar music tastes and became good friends. We kept in contact with him and a few years later, our old bassist Takumi left band and we needed to look for new bassist. After a few sessions with another bassist we mailed Olly because we were not satisfied with the other bassist and wanted to build more overseas relations. His native English tongue would really help us! 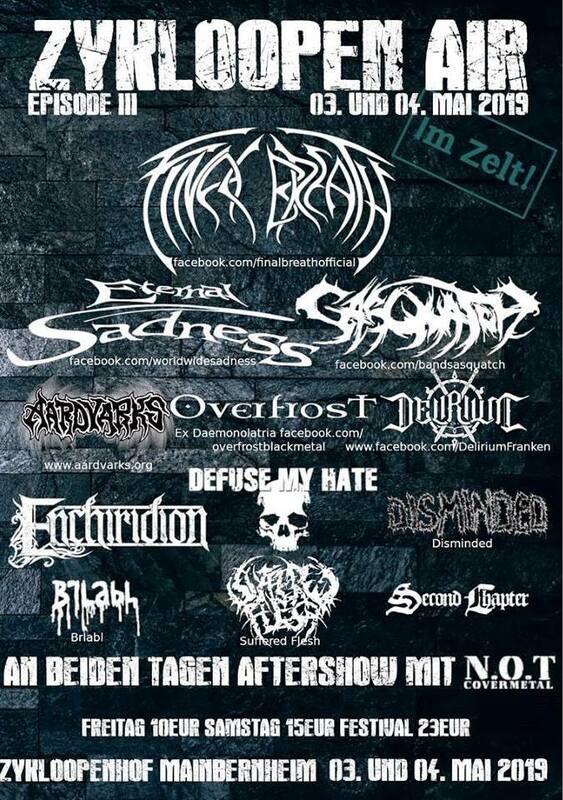 Olly played in an English metal band "Craniation" and we thought his playing would compatible with our band. It must of been hard for him but he returned to Japan for 2 weeks last summer and learnt both our albums. But now he lives in Japan! Which is awesome. amazing guy! I found out you had a video shooting lately. Which song did you choose for the video? Freddy : Yeah, we chose "The Rule"! Could you tell us any fun or tough episode from the shooting? Freddy : Shooting day was so hard. We had to prepare all the stuffs by ourselves, and it took 3days to make it ready. It was so busy that I couldn't even sleep! At the shooting, we used fire. Ryuji and Shohei said they got burnt a little bit, haha. Stay tuned! It's gonna be great!! When will it be revealed entirely? Freddy : I can't tell you exact date so far, but it'll be around May or June. 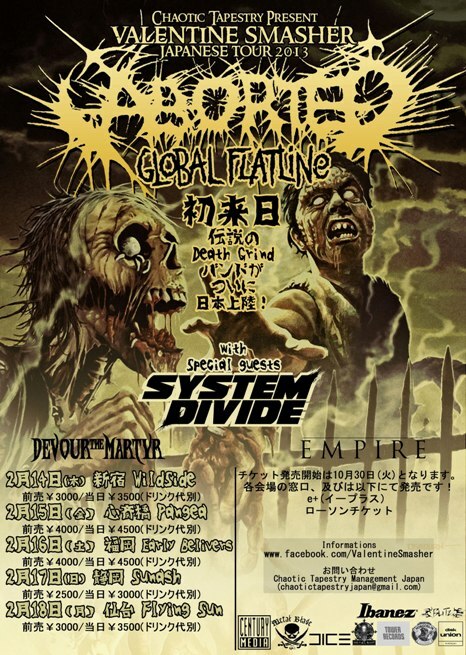 “The Highest of Dystopia” Japan Tour will start this weekend. Could you tell us your enthusiasm for the upcoming tour? What do you expect to your fans? Freddy : We'll do our best in every show! We want fans to enjoy our songs, and performance. Hope they will feel something that happens only in that moment with us. So, you guys have been working hard with worldwide perspective from the start. Do you have a clear plan for the world tour this year? Freddy : Yes, we are ready to go to Europe, China, Taiwan etc. But now, we're trying to find the better way as possible. We hope to go overseas this year. 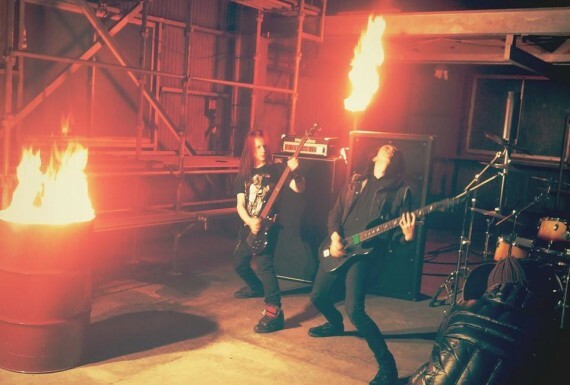 What do you think about the current Japanese metal scene? Freddy : I think it goes towards good. 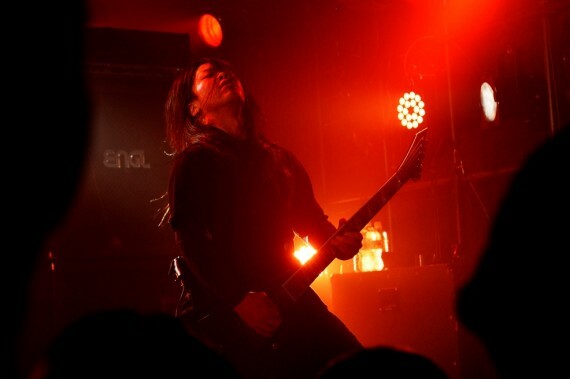 Many talented bands appear, and people gradually realize how great the Japanese metal scene is. 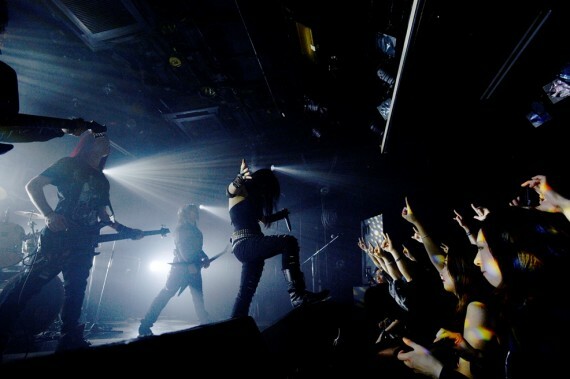 In my opinion, in a few years metal band like us will largely be accepted in Japanese loud music scene. Freddy : We want to see all fans around the world, that's our next goal. The band is now on the road. 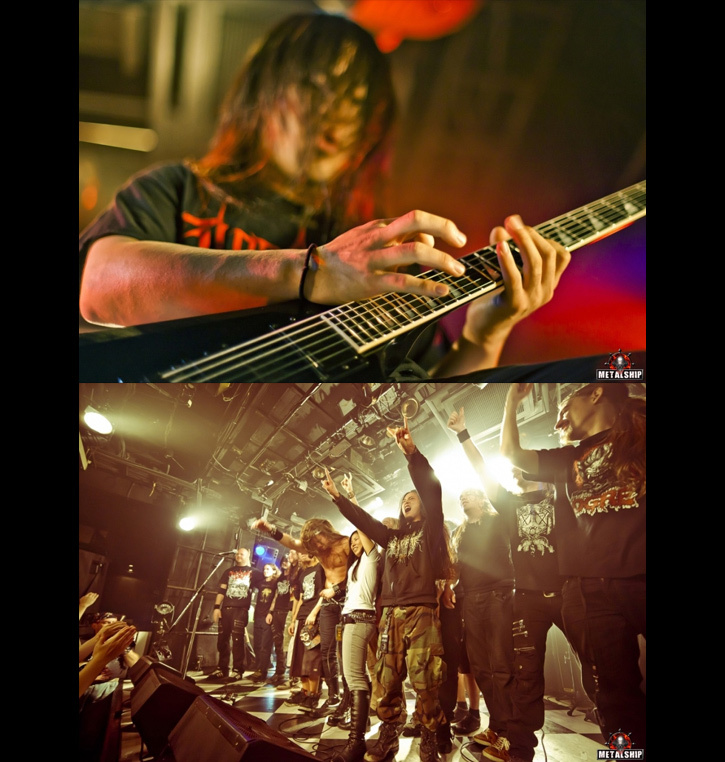 Check some live photos from the "The Highest of Dystopia" release show in Tokyo! Hi guys! 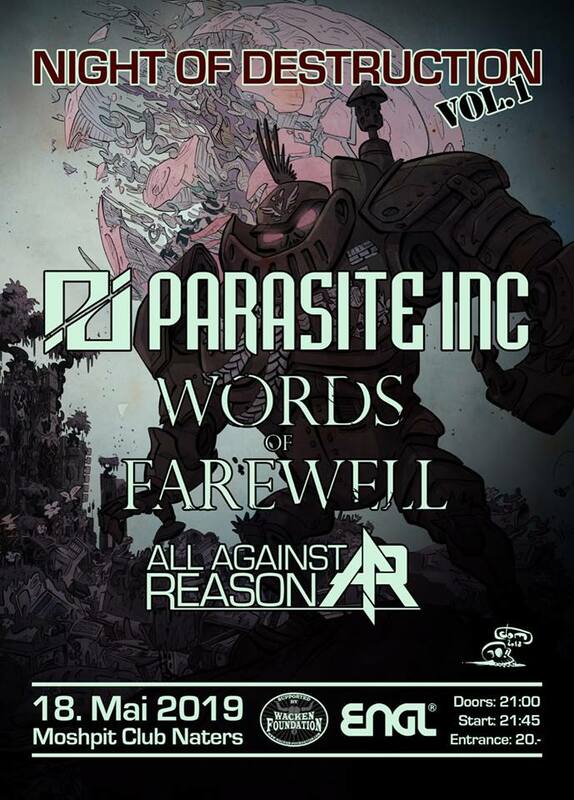 Congratulations for the great success of this tour with BLOODSHOT DAWN and DEALS DEATH. What did you feel about your situation to have gigs on a level playing field with those enormous bands? Freddy: Thanks. This tour was really good experience for us. We are proud that we could tour with them. This tour made us grow, and we certainly got new fans in Japan. Actually, it was the second time for me to see SERENITY IN MURDER at live show, the first one was a year ago, with Lazarus A.D. and Anterior. Comparing the Extreme Metal Over Japan live in Tokyo with the past one (yeah, it’s the same venue – at Shibuya Cyclone) , it’s obvious that the band became more tight and secure. What do you think about it? Freddy: Yeah, exactly. We are more tight and powerful than before. But we are never satisfied with ourselves. All we want is more tight and powerful performances/ sounds. We always seek the best way of performances and making sounds. We will be better next time! The crowd at Shibuya Cyclone went crazy over your dramatic universe of The First Frisson Of The World and your passionate performance. Did you notice those energies by the crowd on stage? Freddy: Of course! The audiences always inspire us. They give us energies! Especially, the audiences in Tokyo were awesome! They heated up when we were on the stage, and they headbanged and made mosh-pit. Their power motivates us so much and it will be our inspiration for the new album. Have you ever experienced such a tour (like through Osaka, Nagoya and Tokyo) with bands from other countries before? Freddy: No,this is our first time to tour with bands from overseas. Actually, we really wanted to do tour like this , so it was a great experience. Do you have any unforgettable episode with BLOODSHOT DAWN and DEALS DEATH through the tour? Emi: We had many experiences with them through this tour, but if I choose a thing, one of the most impressed things is that they enjoyed meeting with fans after each shows, fan meeting at Shinjuku and etc. Some of bands just play at the shows, drink and go back soon to have a rest, but they never did like that. They had a fun of autograph sessions, taking pics and talking with all of fans. Josh(Bloodshot Dawn) told me meeting fan is his favorite thing. I agree. We can't play gigs without fans. I’m proudly introduce SERENITY IN MURDER to metal lovers in the world, by the way. Could you tell them about the members and the band’s history? Freddy: Ok. Serenity In Murder was formed in 2008. I composed a few songs at that time and also looked for members to make a band. At first, I met Emi (vocal). we went to the same university and were members of the music club, so I knew she covered songs like Slipknot, Children Of Bodom and etc. She listened to my songs and she decided to join my band. About one year later, I found Ryuji (guitar). He posted movies of his guitar playing on the Internet. He covered Steve vai, Racer X and etc. I liked his playing so much that I immediately asked him to join us. I have known Shuntaro since we were child. He can play any instruments, so I asked him to join me as a keyboardist. Others were still the support member. We started playing on the show and recording with these members, as Serenity In Murder in 2010. Takumi (bass) and Shohei (drums) joined us while recording. These are the current members of Serenity In Murder. In September 2011, we signed with Spiritual Beast / Universal Music, and released 1st album ”The First Frisson Of The World”. We did many gigs in Japan, and played in Taiwan. And now, we’re working on our new album. We hope to work worldwide next year! As far as I know, I can say that SERENITY IN MURDER is a dramatic/symphonic melodic death metal band with some modern elements. How do you describe about the band? Freddy: Our music is mixed with many elements. The most characteristic part is the melody. 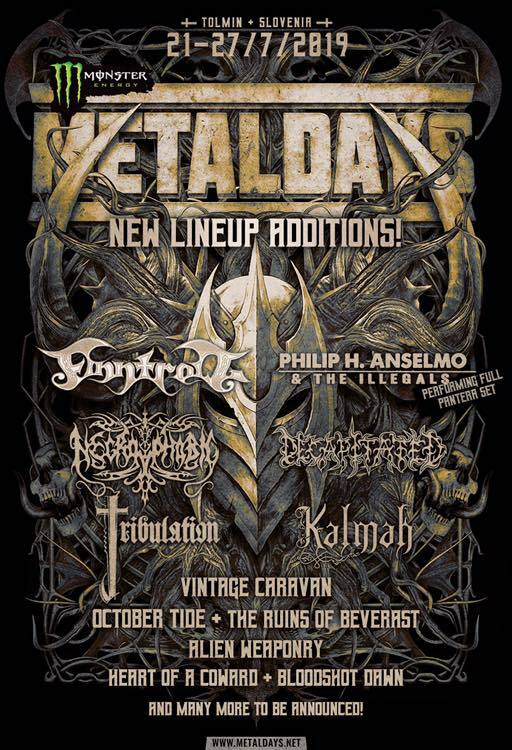 We have our original melodies inspired by Northern European metal, traditional metal, and Japanese metal scenes. Our melodies are like the mixture of sadness and sorrow in the powerful sounds. I want to put Japanese taste in our melody, because I'm proud of being Japanese. 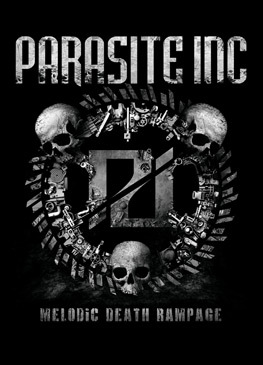 So,"Japanese symphonic/dramatic melodic death metal" would be the best word for our melodies. Did you already experience enough gigs after released the album The First Frisson Of The World? 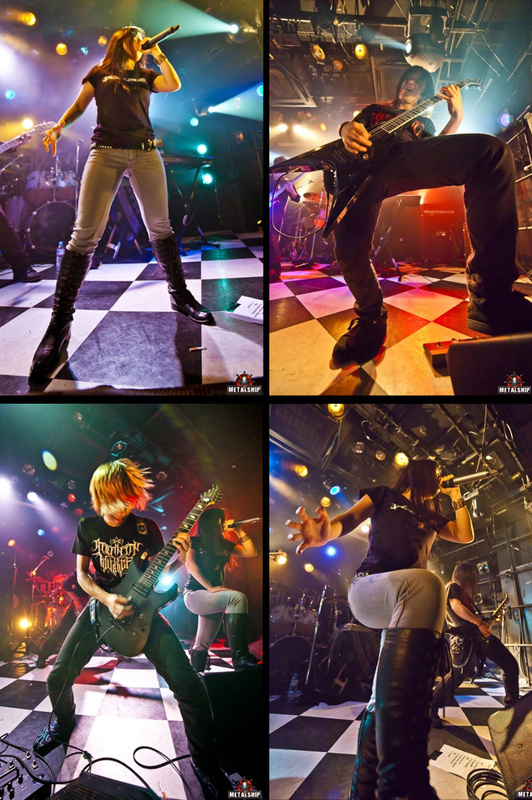 Emi: After released our 1st album, we played the show about once a month and we experienced some big events like Geki-Rock. 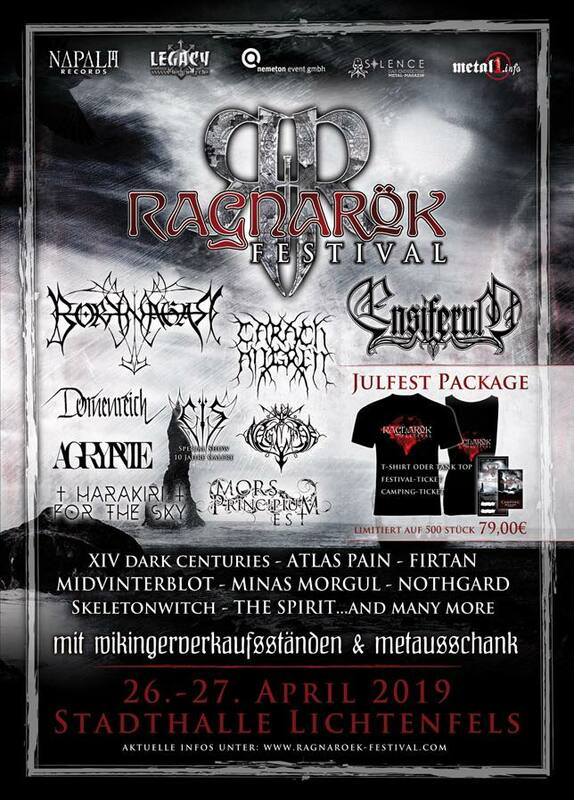 We played with Anterior(UK) and Lazarus A.D.(USA) last year on that event. Also, this year we played at Taiwan. That tour was so amazing. Two of gigs are held by ourselves. 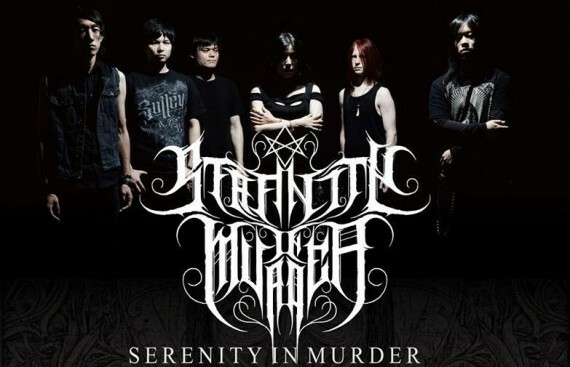 Serenity In Murder is formed for two years and it takes only one year after released debut album. So I don't declare we had enough experiences for now but we had many opportunities to play at many great gigs. We will join cool shows more like EMOJ. We have to gain experiences through gigs and tours. What are your future plans and what is the biggest goal for the band so far? Freddy: We are already working on our next new album, and thinking of doing tour in Europe and Asia. Our biggest goal is working worldwide. We really want many fans around the world to enjoy our music. We just do what we want to do. If it will lead us to good directions, it's a pleasure . 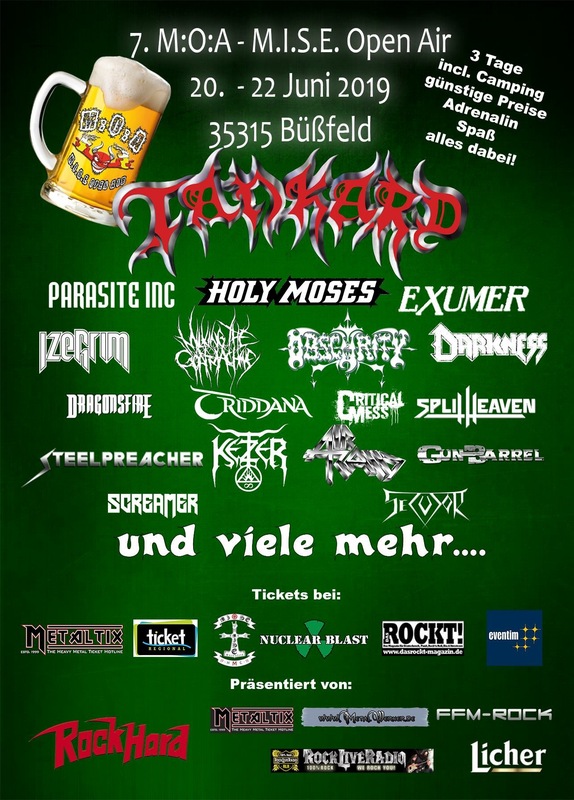 Could you leave any message to the people who went to see Extreme Metal Over Japan, and also to metalheads in the world? Freddy: Hi guys! 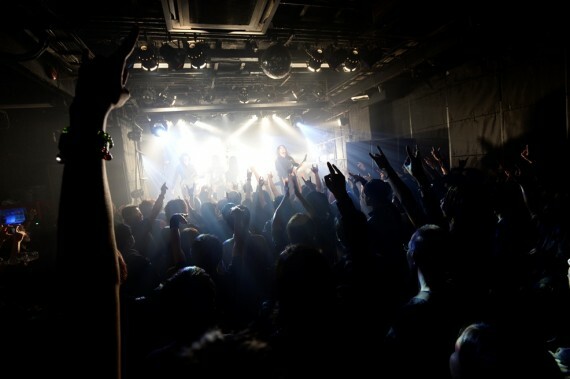 How was the Extreme Metal Over Japan tour? We are happy if you really enjoyed that tour! If you are interested with us, come to our show again, and spend crazy time together! Check out our website! 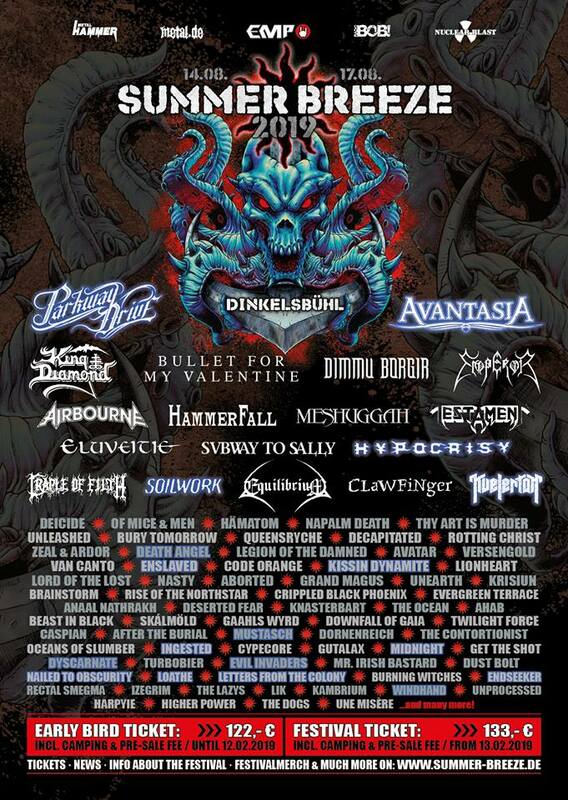 To all metalheads around the world, we'll see you soon! 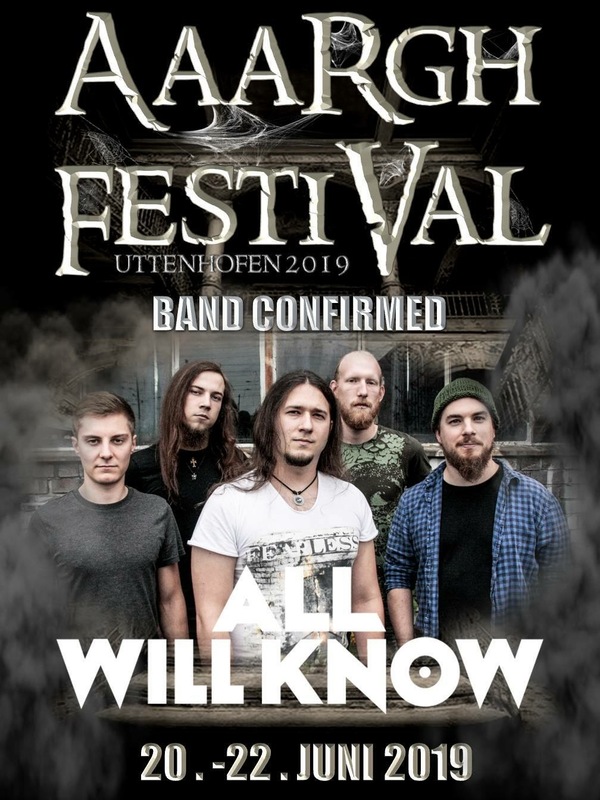 Stay tuned and keep your eyes on us! Thank you so much. I hope for your future success!